I used to watch Les Tigres Blanc play every Wednesday when I was working as a chalet host in France, but that is the extent of my knowledge of the sport. The leading male in this romance is the Chicago Buffalo's strong and determined captain, Beckett Riley. One of the features that pulled me into the story was that off the ice, he was far from confident and sure of himself. This struck a chord with me because it's often assumed that to succeed in life you have to assume a big, bold and confident character but this is simply not true. The story gets into its stride very quickly meaning I simply could not put it down and devoured it until I reached it's satisfying conclusion. I found out today the author is currently writing the second book in the Chicago on Ice series featuring characters from this book, this made me very happy! I thoroughly recommend The Aubrey Rules and will be downloading the author's other work very soon. 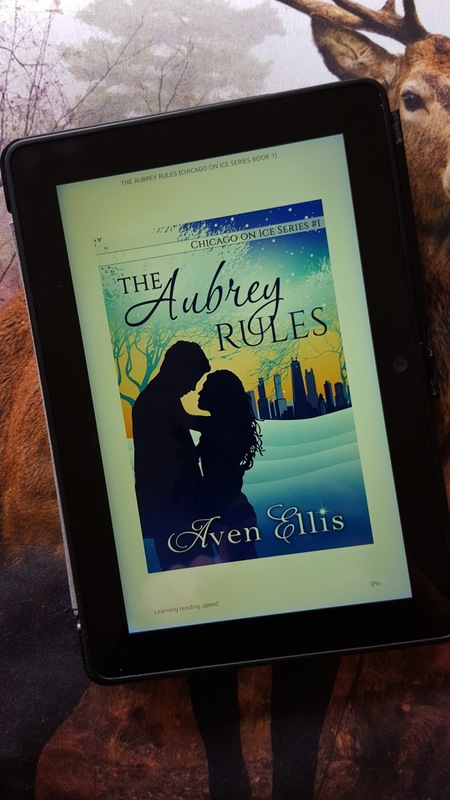 Have you read The Aubrey Rules? What other books in this genre should I read?